● Made from Top Grain cowhide leather. ● Treated with oils & waxes for extra protection. ● Soft, Lightweight & Glossy. 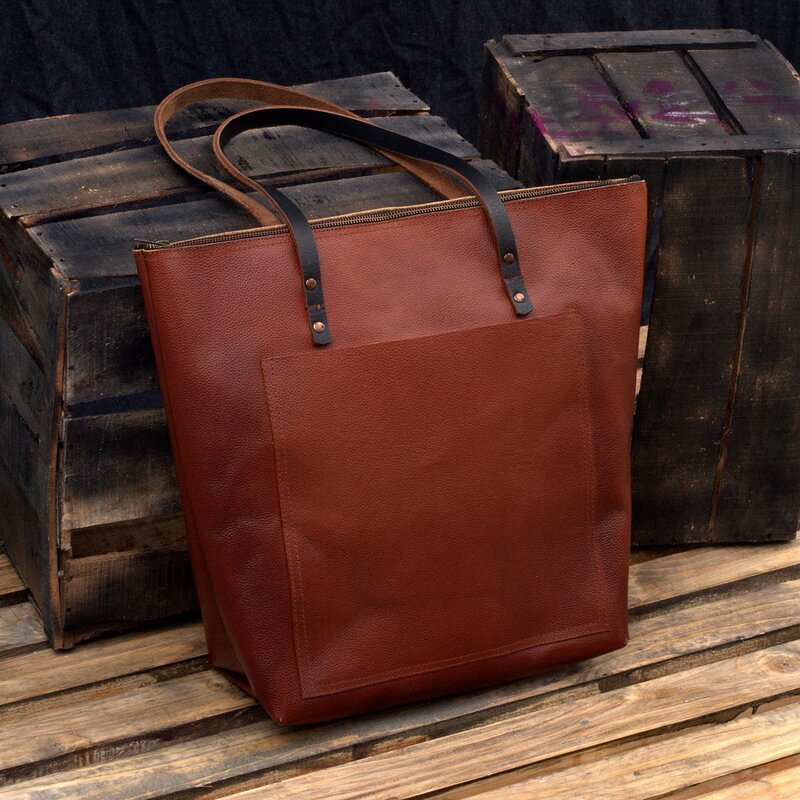 ● Vegetable Tanned Leather Carry Straps. ● Inside Pockets at both end of tote inside. ● Big enough to hold a 15" MacBook, wallets, books and many other things to help you indulge in a shopping spree. ● The handbag has no lining to give it natural raw feel of the cowhide leather. Antique Tan Women Leather Tote Bag with Zipper Closure with External Pocket, Made with Single Uncut piece of leather skin. Perfect for use as a stylish shopper or day bag.